Statistics show around 42% of marriages in England and Wales end in divorce. Consequently, more people remarry for a second or third time. More than 6 million couples in the UK have chosen to cohabit rather than marry. Blended families and children born out of wedlock have further complicated family situations. What are your rights under English law? In England & Wales the law is clear. If you’re not married, or in a civil partnership, and your partner dies you have no entitlement to your partner’s property and could end up with nothing. This is still the case even if you have children together. Without a Will your partner will die intestate and be subject to the rules of intestacy. If you can prove financial dependency on your partner you may be able to claim under the Inheritance (Provision for Family and Dependents) Act 1975. 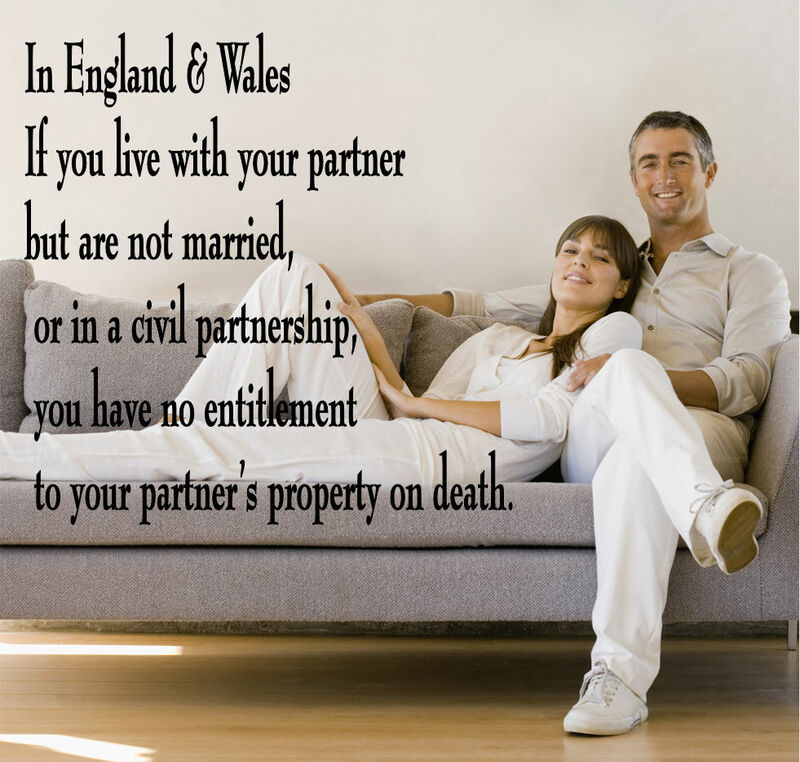 The only sure way you can look after your partner is by writing a Will. 70% of cohabitating couples have no Will. Don’t let your partner down.